The Buy One Get One Free Sale! – went well again in March. Thank you very much! 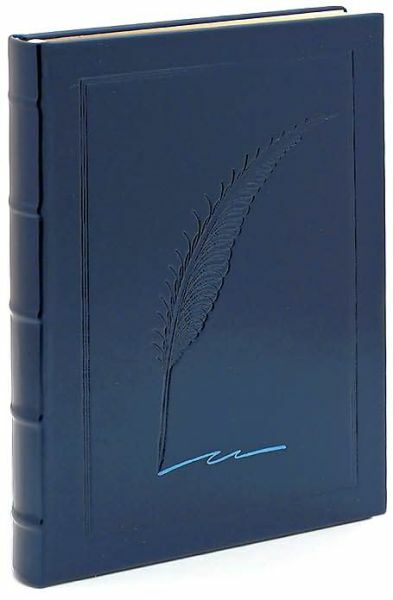 We have several new items for April including a genuine leather hunters log book, a green genuine leather Rules of Golf compact score book, Rhodia notepads, Graphic Image Blue Embossed Quill Pen Journal and much more. You can find the entire Buy One Get One Free Sale! – items on the large table covered with the red table cloth. As we sell down on the items in the Buy One Get One Free Sale! the size of the red table cover will get smaller. Because we are open only one day per month about seven times a year I will continue with the Buy One Get One Free Sale! until all the select journals, notebooks and sketchbooks are gone. A select list of the items on sale: leather journals; refillable journals; Raika leather photo album; notepads; stationery; envelopes; sticky notes; pens; markers; metal ruler; Rand McNally USA and World large wall maps and much more. I look forward to seeing all my regular customers and new customers during First Saturday at the Chicken Farm Art Center. This First Saturday (April) and maybe (May) are the last ones for us until the fall (October). Journal Daddy does not set up outside during the hot summer months. Too harsh on Journal Daddy and the beautiful and unique journals, notebooks and sketchbooks. If you want any of the journals, notebooks and sketchbooks sometime after First Saturday give me a call and I will meet you somewhere with the items you want to purchase. I have done this several times and it works well. Just give me a call or send me an email by going to our contact page. The above new items listed for April are not part of the Buy One Get One Free Sale!